Let us show you how solar power can cut production costs and improve your bottom line. Shown here is a 60kW array on a turkey building. At one point, this was the largest privately owned array in Iowa. 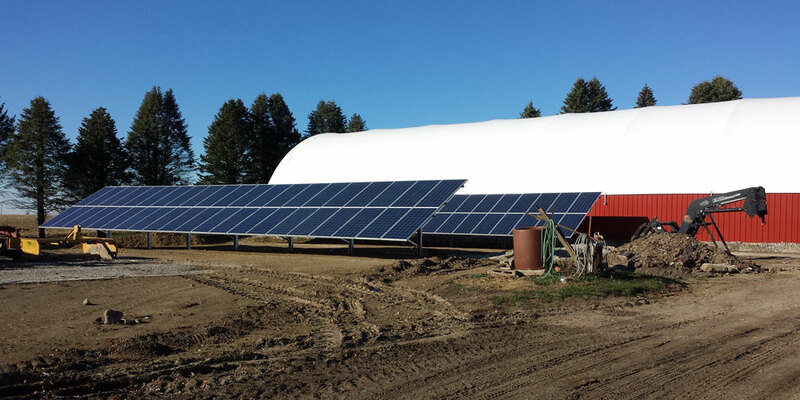 It powers the customer’s entire farm, including three 400′ turkey buildings. 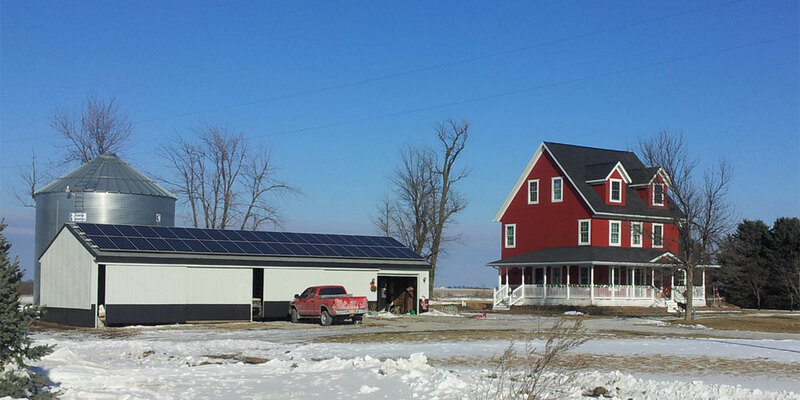 This 25kW ground array is located on a farm in Grinnell. Ground racks are an option when there is open land space or no available roof space. They also allow excellent shedding of snow and cooling of the panels. 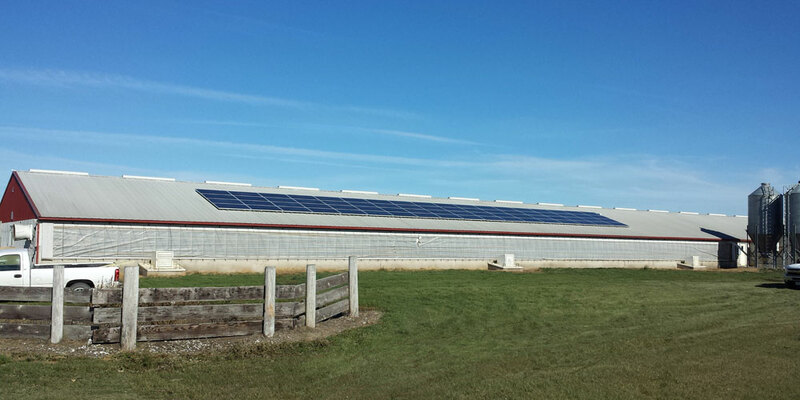 CB Solar Inc has done countless hog buildings in Iowa. This hog confinement has a 20.4kW array to offset the usage of multiple buildings. 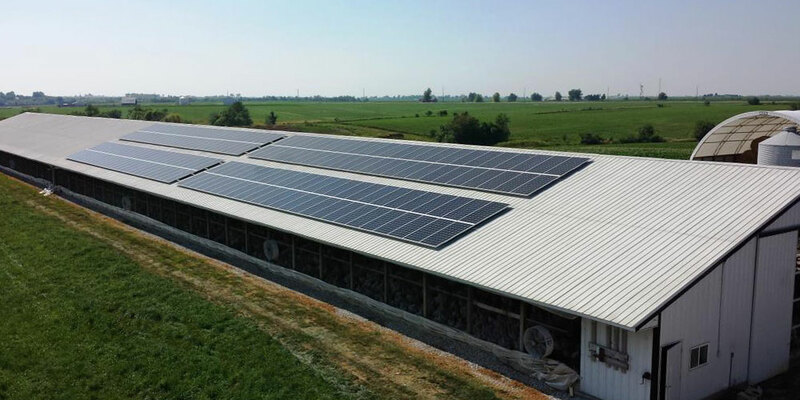 With limitless roof space and consistently high power consumption, hog operations are ideal candidates for solar energy. Shown here is a beautiful farmhouse in Southeast Iowa. To offset the usage of grain drying bins, this array was installed on a 100 year old shed. The customer purchased an additional ground install to cover the rest of their usage, a year after this array paid for itself. 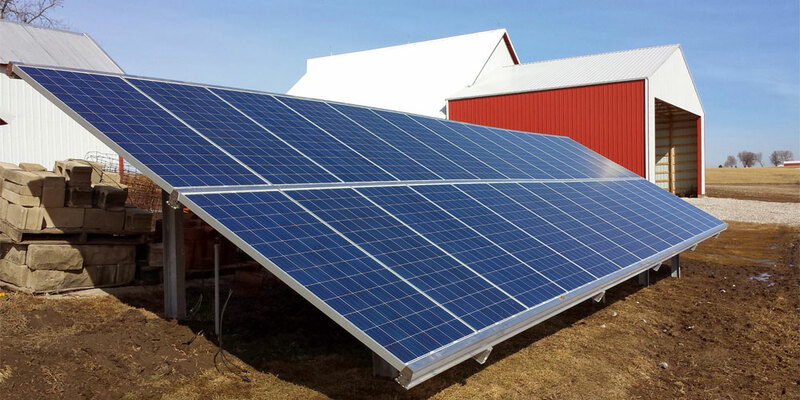 This 8.4kW ground rack was installed on a farm in central Iowa. This rack uses a clampless system to reduce damage and hotspots in panels, increasing yield and longevity of the system.